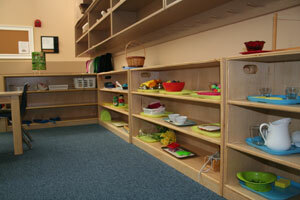 Village Montessori Center features Infant/Toddler classes for children 6 weeks through 24 months. With a low teacher to student ratio, young children begin exploring Montessori materials, learn about the world around them at their own pace, and are offered guided opportunities to see, touch, taste, feel, smell, and hear new experiences. 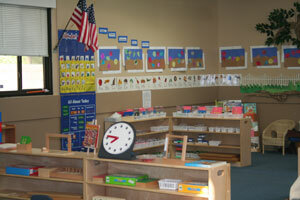 Emphasis is placed on Development-play based learning. If your child is 2-3 years old, they’re on the cusp of mastering many important development milestones. 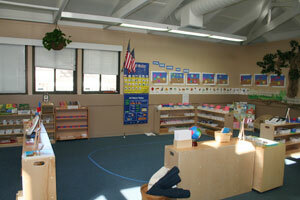 The growth of their learning ability is astonishing at this age and Village Montessori Center provides a structured Prepared Environment with Montessori Materials that coincide with the various developmental milestones. In a classroom surrounded by language, manipulatives, foundational math concepts, and schemata that bridge understanding of the world around them, you will be astonished at the growth and success your child will experience because they are a part of this learning community. As an older pre-schooler about to transition to new developmental milestones, your child will have opportunities to grow based on their unique characteristics. Our program will challenge their strengths and nurture their weaknesses with an eye towards developing the love of learning that will serve them for the rest of their lives.